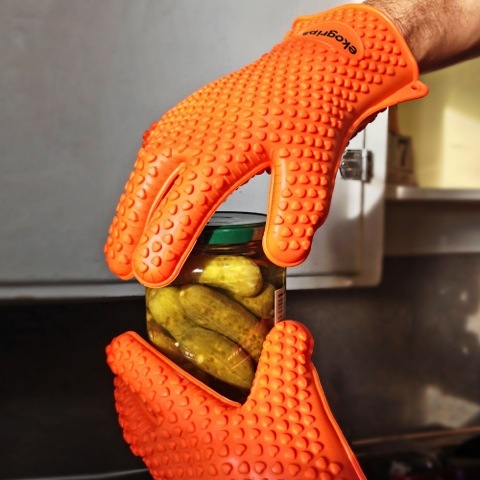 Jolly Green Products owner, Zach Greenfield, has announced the newly releasing series of fun, entertaining, and even extreme videos of the many uses of their newest product, the Ekogrips, which are ranked amongst the top selling cooking and grilling gloves in their class on Amazon. When asked about the videos, Zach Greenfield shared, “Buyers don’t just want to read an ad talking about what these particular gloves can do, they want to see them in action to believe it, and I don’t blame them, when I buy something on Amazon, I want confidence it’s going to perform like it says it will.” Zach continued, “We will be demonstrating the wide array of used for the Ekogrips, in addition to cool tips, and safety advice.” The Ekogrips’ owner will be hosting the videos, which are set to launch sometime early to mid April and will be available to view mainly on youtube. Jolly Green Products also plans to implement a “customer questions” video segment which will include the grill gloves being tested according to requests and comments by potential customers, or those who have already purchased the Ekogrips. Comments and questions can be posted on the Ekogrips Facebook page. 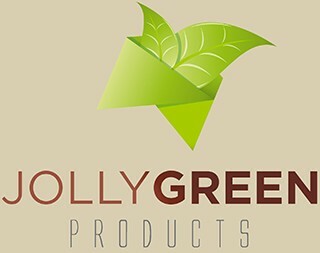 Jolly Green Products has announced that they will be modifying their current packaging for their flagship cooking and grill gloves, Ekogrips, to reflect a more environmentally conscious approach. This change comes only a couple of months after the successful launch of the Ekogrips on Amazon the beginning of this year. When asked why they are changing the packaging, owner of Jolly Green Products, Zach Greenfield, shared “There is a world-wide attitude growing toward being more conscious of the environment and conserving current resources; we are also on that path at Jolly Green Products.” According to the popular Amazon based company, the Ekogrips’ packaging has cut down considerably on plastic use and has also changed the labeling to reflect their narrowing focus toward becoming more eco-friendly. Even the gloves themselves are made of 100% recyclable silicone that is FDA-approved and safe for handling food. Readying the marketplace for the launch of their Ekogrips Silicone Heat-Resistant Cooking Gloves on Amazon.com, Jolly Green Products continues their focus on eco-friendly products. Backed by a lifetime warranty, the waterproof 100% food-safe silicone cooking gloves are offered as a pair and retail for $21.99. Heat-resistant up to 425 degrees, the raised textured five-fingered grip on the gloves allow for added protection when BBQ grilling, handling pots and pans from the oven or stove, or preparing hot food such as large meats that need to be torn from the bone. Ekogrips, the newest flagship silicone cooking and BBQ gloves from Jolly Green Products, are now flying off the shelves into, or perhaps onto, the hands of eager cooking and grilling enthusiasts around the nation. This is a blog where we will publish news, articles, and content.